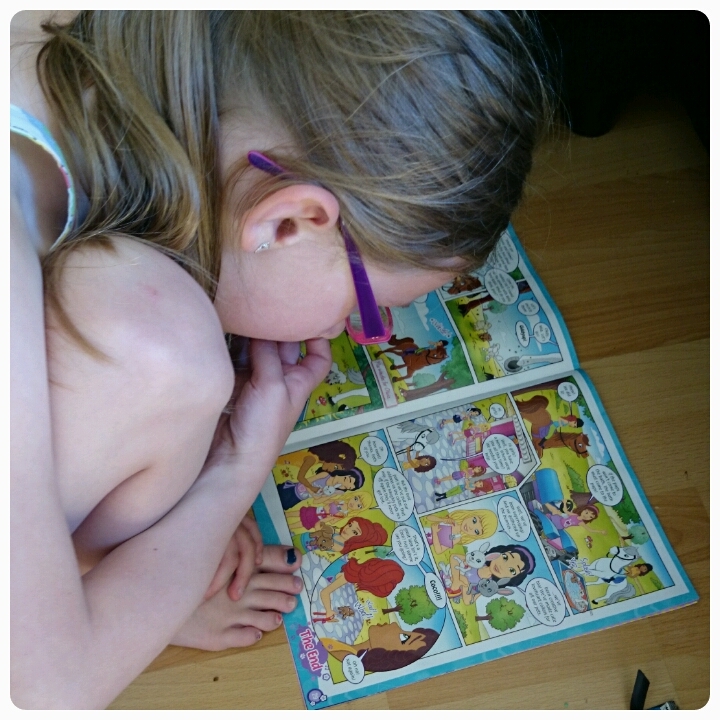 My girls are very much into their comics and they were lucky enough a couple of months ago to get the chance to receive a copy of Girl Talk when they launched their #girlsrule campaign. 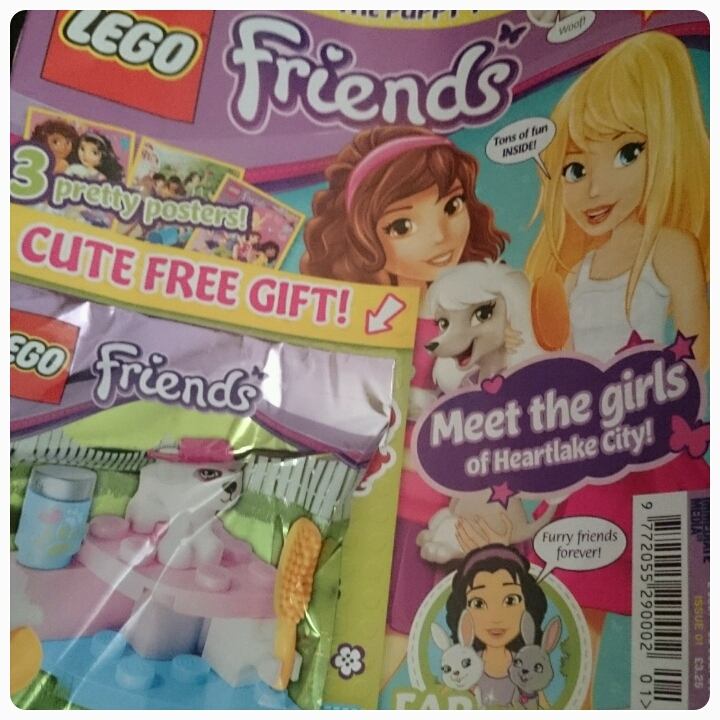 This month sees the release of a brand new magazine, LEGO Friends, again my daughter's were kindly sent the first copy to look at and enjoy. This comic is based on the now widely popular toy franchise and is aimed primarily at girls aged between 7-11 although I would say it is fine for younger girls too as my 4 year old really enjoyed looking at all the pictures and activities. Packed with puzzles, quizzes, stories, competitions and posters, this magazine brings the characters from the toy range to life on paper. The magazine came with a gift, Charlie the puppy, so adorable!!! 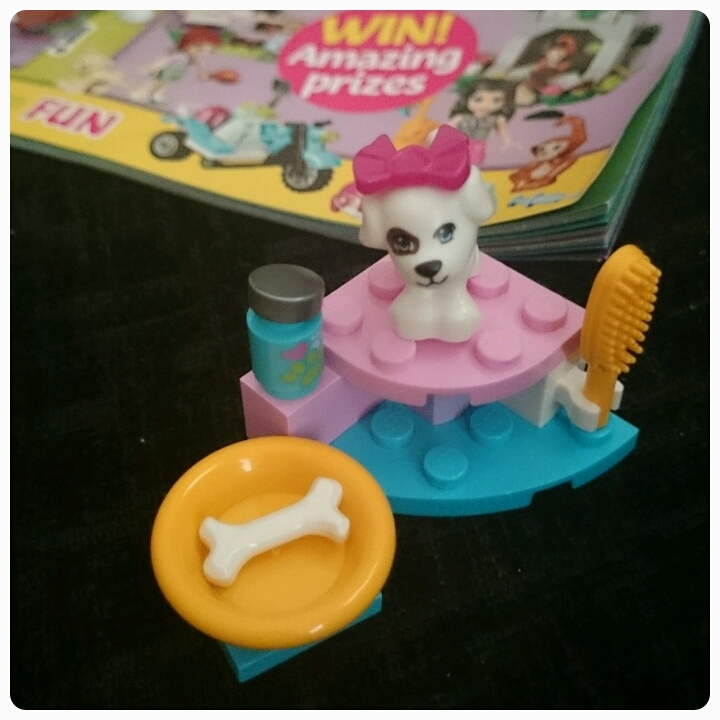 And I am informed that each new issue will feature an exclusive LEGO Friends toy. If you have younger children just watch out for the small pieces of lego, although I think we as parents need to watch out for them too, I have stepped on LEGO many a time and all I can say is ouch!! 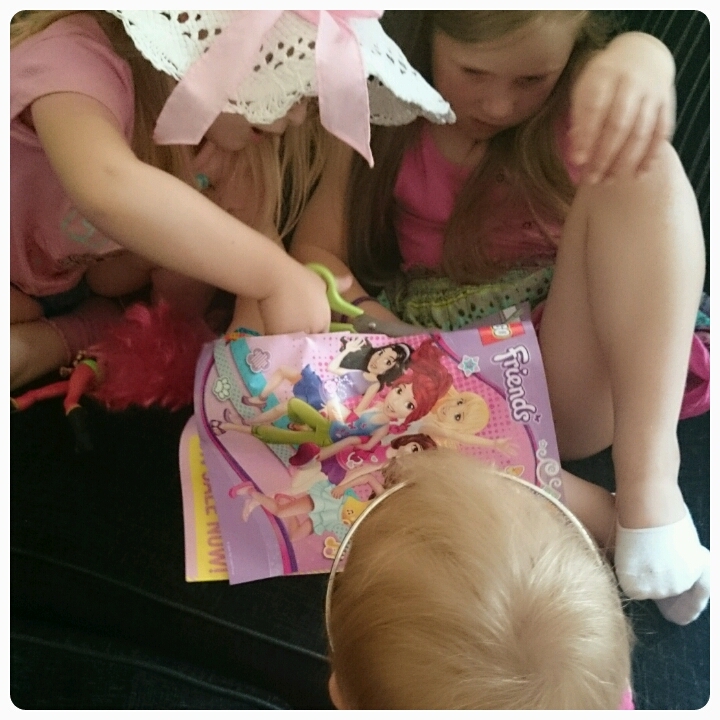 So what did my girls enjoy the most about this magazine?? Elise says "I loved finding out that I was like Olivia in one of the quizzes"
Freya says "My favourite part was the posters because the animals on them were cool"
Gracie says "I loved the toy because it was so cute." It was nice to see them sitting down both by themselves and together as a group reading, playing and chatting about what was on each page. Each issue costs £3.25 which is no more than expensive than other magazines but I think it is better value for money purely for the exclusive toy you receive each time. Although aimed at girls I would have no problem with my nephew or godson reading it too!! Overall a lovely comic which is fun and entertaining. Disclaimer : I was given a lego friends magazine subscription in exchange for this post however all thoughts and opinions are my own. My daughter's travel treat is a comic so I'll look out for this next time we fly. I used to buy the Duplo one when she was younger which also came with a free toy. I'm prepared to pay for a comic if it has a quality toy with it, some comics come with some very tacky toys!